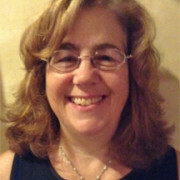 Beth H. Renné, MSN, ANP-BC, is an Integrative Nurse Practitioner, Health Coach and Transpersonal Therapist. Combining expertise in conventional and alternative medical approaches, her practice bridges the gap between medicine and nursing, care and cure, science and soul. Her focus, as facilitator and collaborator in each patient’s journey toward healing, is to encourage transformation through the use of individualized care plans that blend imagery, hypnosis, meditation, therapeutic touch, herbs, supplements and homeopathy with conventional medical practices. Ms. Renne has thirty years’ experience as a healthcare provider. She received her Master of Science in Nursing at the Catholic University of America in 1984 and her Bachelor of Science with honors at the State University of New York at Buffalo in 1979. She completed her post-graduate work in Gestalt Therapy at The Washington Center for Consciousness Studies in Washington, DC and is certified by the American Nurses Credentialing Center. She currently practices Integrative Medicine, Primary Care and Gestalt Therapy, in Bethesda, Maryland. Her special interests include Psychoneuroimmunology and Natural Medicine.